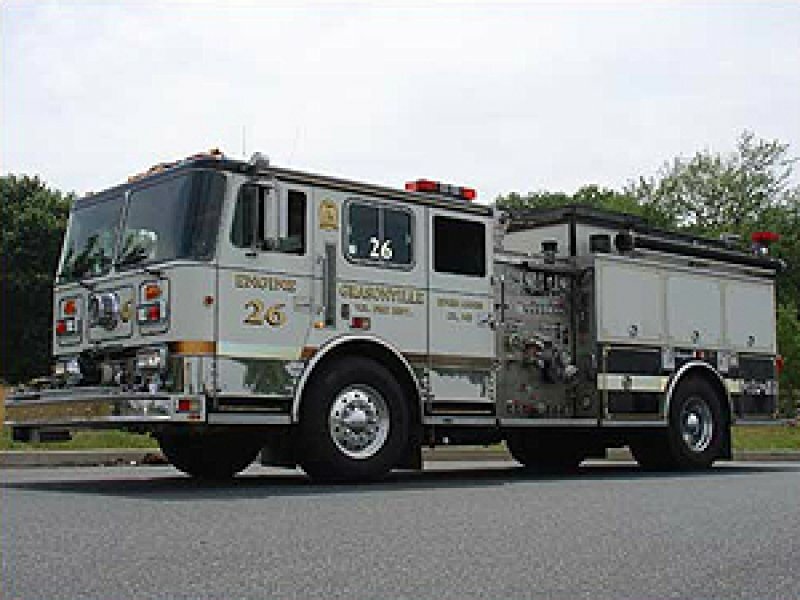 Engine 25 is a 2007 Seagrave Marauder II with an 8 person air conditioned cab. Engine 22 is a 2010 Pierce Arrow XT with an 8 man air conditioned cab. 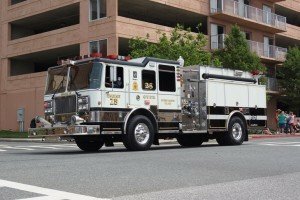 Engine 22 has a 1250 GPM Waterous pump, 750 gallons of water, and 50 gallons of foam. 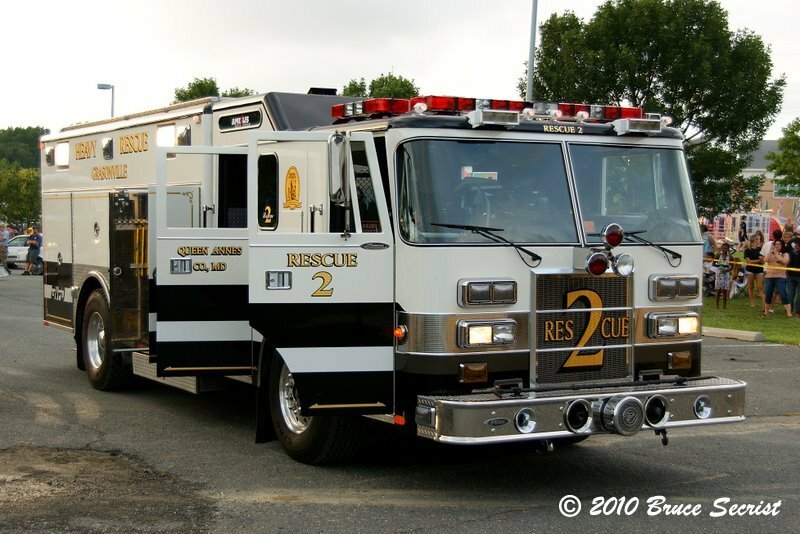 Truck 2 is a 1998 Pierce Dash 105' Quint with a 6 person enclosed cab. 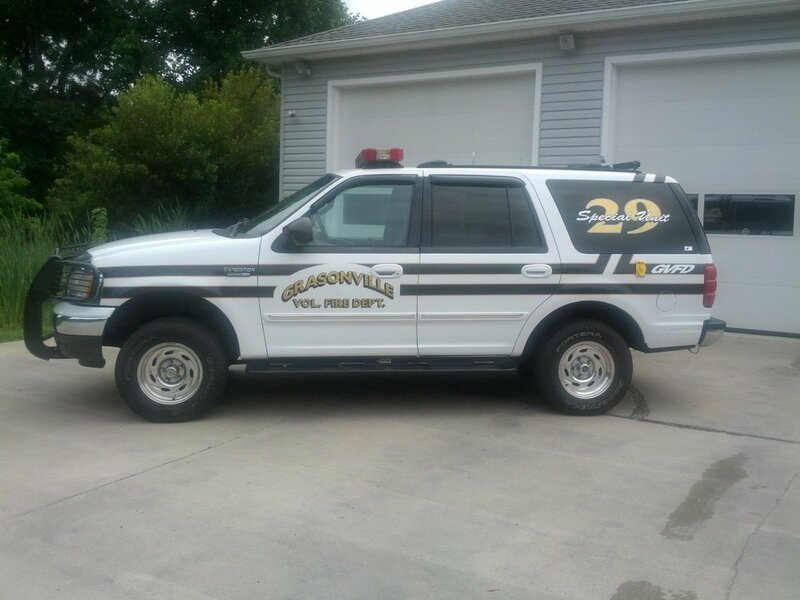 This unit is powered by a 60 Series Detroit 500Hp with an Allison Automatic transmission. 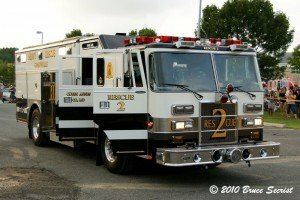 Rescue 2 is a 1993 Pierce Lance with a 6 person cab powered by an 8V92 Detroit diesel engine and an Allison automatic transmission. 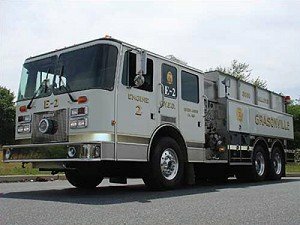 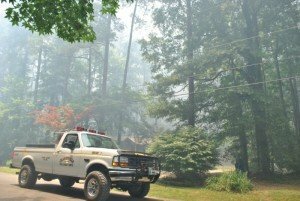 Engine-Tanker 2 is a 2005 Spartan / 2017 E-One Body 8 person enclosed cab. 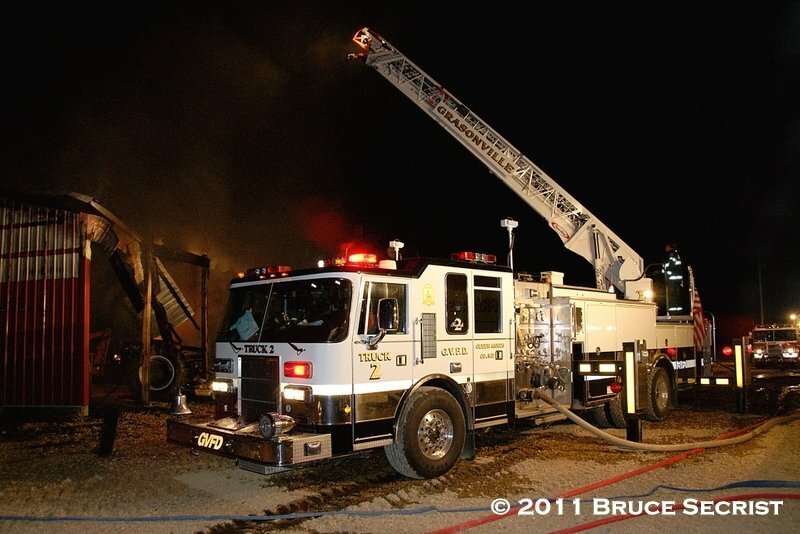 1250 GPM Waterous Pump and 2500-gallon Water tank with a 30 Gallon Foam Cell. 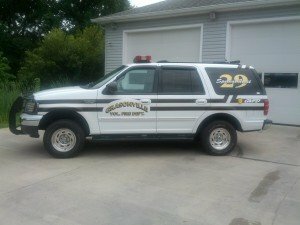 This unit is powered by a 60 Series Detroit 515Hp with an Allison automatic transmission. 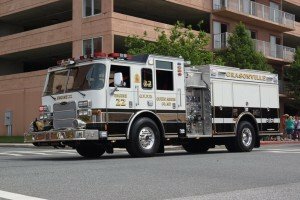 Engine-Tanker 2 was originally a 2005 Spartan/ S & S before being rehabbed in 2017 by E-One. 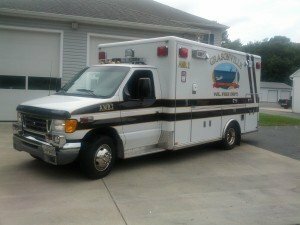 A new Stainless Steel body and Poly water Tank was included in the rehab. Brush 2 is a 1995 Ford F-350 XL 4X4. 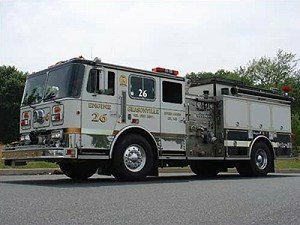 This unit is equipped with a skid unit mounted in the bed of the truck containing a 250 GPM pump and 250 gallons of water. 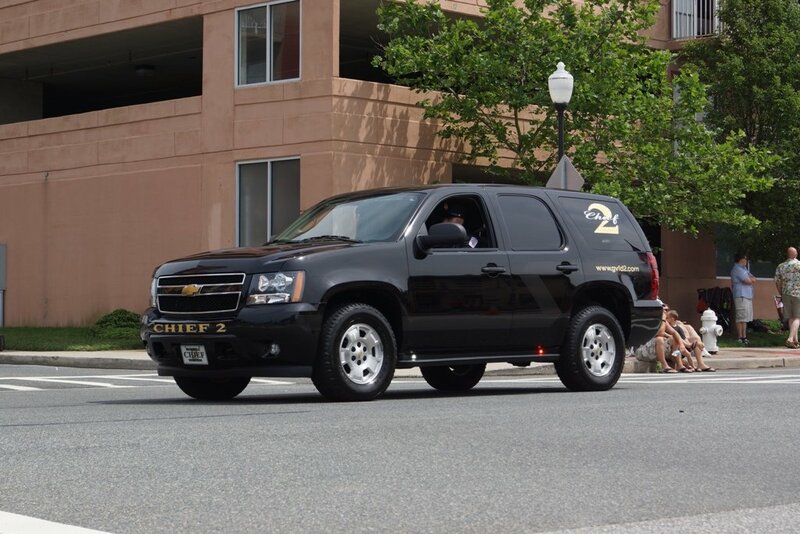 Chief 2 is the departments Duty Officer and Incident Command Vehicle. Special Unit 29 is a multiple purpose unit utilized for various functions. Unit : Engine 26 "War Wagon"
Engine 26 is a 1992 Seagrave 6 person enclosed cab. 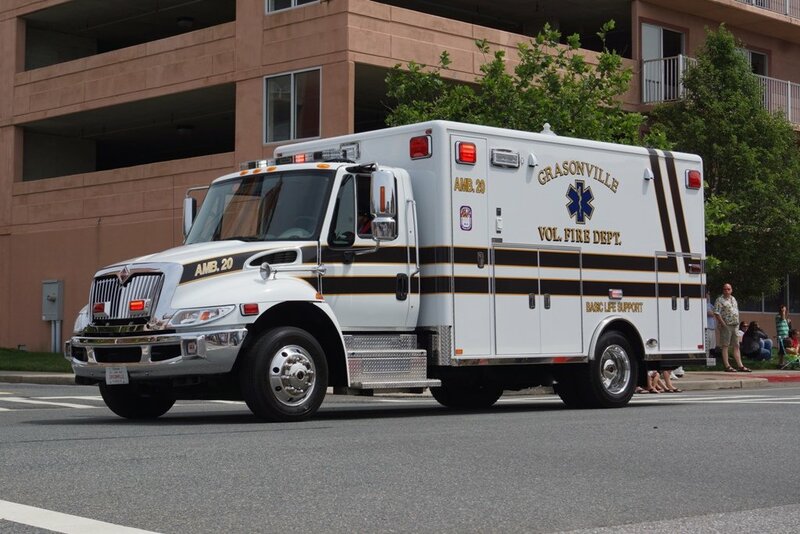 This unit is powered by an 8V92 Detroit 450Hp engine with an Allison Automatic transmission. Unit : Engine-Tanker 2 "Big Bertha"
Engine-Tanker 2 is a 1993 Pemfab 4 Guys 3000 gallon 6 person enclosed cab Engine-Tanker. 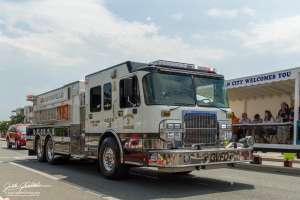 It is powered by a Mack 315 Hp engine with an Allison automatic transmission. 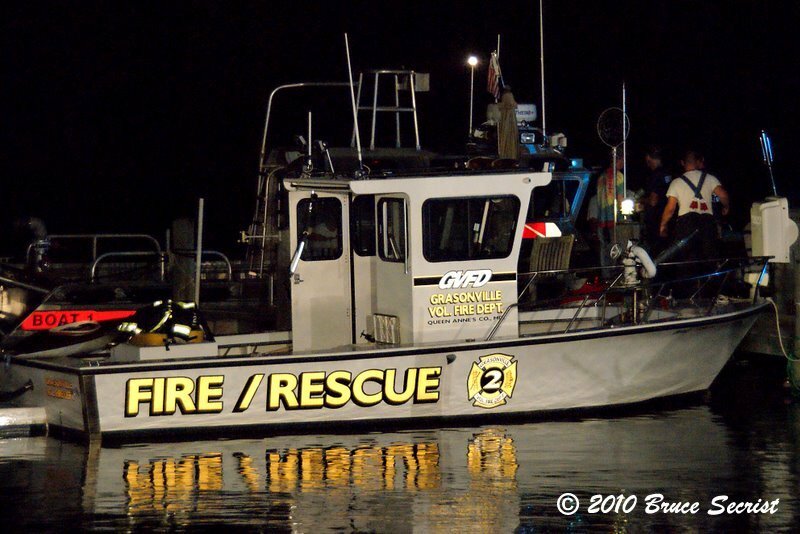 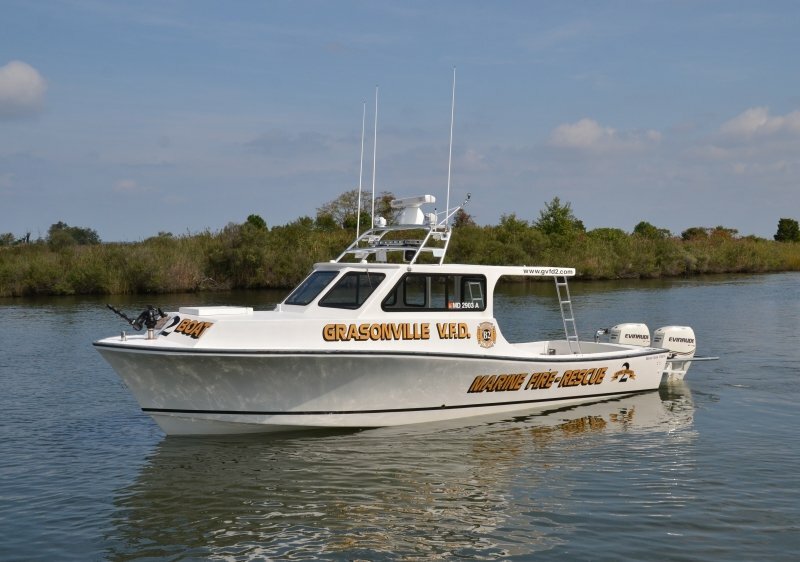 Fire Boat 2 is a 2014 Custom Built Broad Creek Marine. 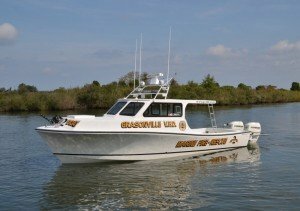 Boat 2 is a 1989 25' Seahawk powered by a 225 Hp Ocean Runner outboard motor. 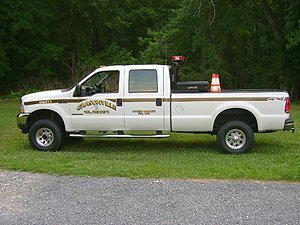 Utility 2 is a 2003 Ford F-350 XL 4X4 Superduty 4 door cab.